authenticity certificate. Only then is it assured that you purchase an original AudioValve product. For this reason, you buy better in the real shop instead in dubiose internet channels like TAOBAO. 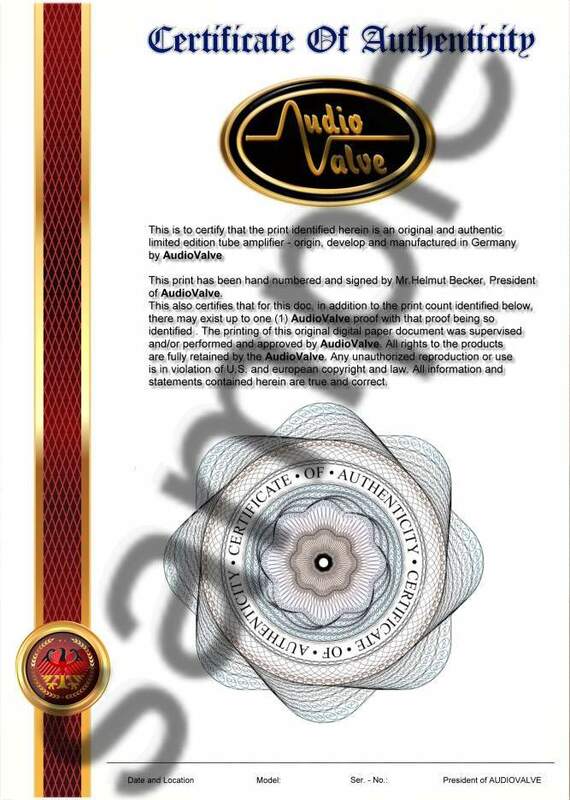 This certificate is personally signed and dated by Mr. Becker as President of AudioValve.